Make every gaming session an immersive and thrilling experience with PNY GTX 1070 XLR8 Gaming Overclocked Edition. 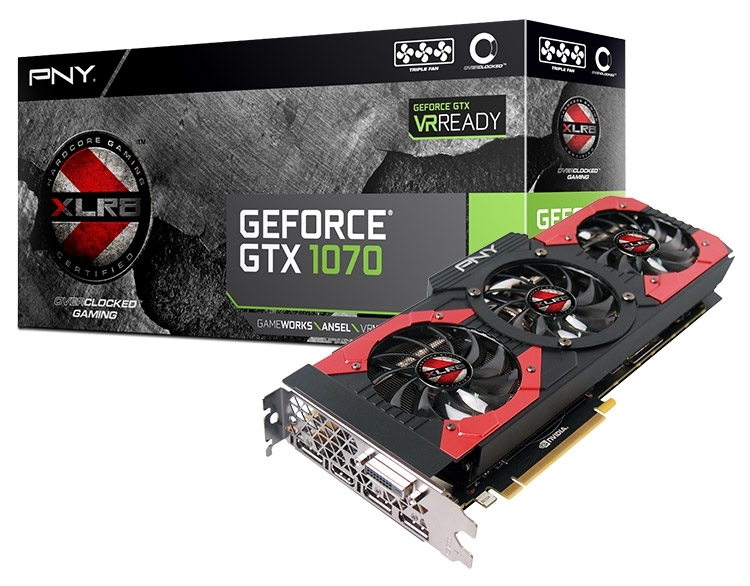 PNY Technologies (PNY) considered one of the worldwide leaders in consumer electronics market and flash memory products, has launched the GeForce GTX 1070 8GB XLR8 graphics card that transforms your PC into a super-charged gaming computer. Designed specifically to support next-generation PC games, the GeForce provides real-time 4K graphics powered by the new NVIDIA Pascal architecture. The GeForce is built with 8GB GDDR5 memory clocked at 8 Gbps with data transfer rate of 256 GB/s and 256-bit wide memory bus which provides ultra-graphics settings for an outstanding performance and gaming experience. Enjoy smooth gameplay while playing the most challenging, graphics-intensive games without any interruption or glitches. PNY’s XLR8 Triple Fan XLR8 Cooler helps the GeForce GTX 1070 run cooler and also quiter ensuring extended high-performance gameplay without overheating the system. The GeForce GTX 1070 supports multi-monitor setups, up to 3 Display Port 1.4, HDMI 2.0b and DL-DVI ports displaying ultra-high resolutions at 7680x4320 @60fps. Microsoft DirectX 12 enables high-end gaming for non-stop, fast-paced virtual gameplay. The GeForce GTX 1070 supports Windows 10, 8, 7, Linux, FreeBSDx86 system drivers. Booted with next-generation NVIDIA VRWorks technologies, gamers can play the latest VR games released providing plug-and-play compatibility with leading VR headsets. Real-time Image capture technology captures HD video and images that can be uploaded to YouTube and online media sites. Lenovo announced the launch of its new range of Tab 4 series in India. The versatile tablets are power-packed, 4G enabled and engineered for multiple users; ready to meet distinctive needs of different family members while offering performance with style. They can be tailored to specific requirements: kid-friendly or high productivity. With a starting price of INR 12,990/-, the Lenovo Tab 4 will be available exclusively on Flipkart.com in four variants – Tab 4 8, Tab 4 8 Plus, Tab 4 10 plus (3+16GB variant) and Tab 4 10 Plus (4+64GB variant). Lenovo’s continued interest in tablets has helped the brand become the No.1 player in India and the launch of these premium devices further strengthens their position in the market. The Lenovo Tab 4 8 and 10 plus are sleek in design promising both sturdiness and style. Beneath its stylish exterior, the tablet is powered by Qualcomm Snapdragon 64-bit Quad-Core 1.4GHz processor and is backed with up to 2GB RAM and 16GB of storage, offering seamlessly multi-tasking and content consumption. Both these tablets come with Dolby Atmos audio technology for an immersive audio experience via its in-built speakers as well as headphones. The Tab 4 8 sports an 8-inch HD display while the Tab 4 10 plus features a 10-inch HD display. The Tab 4 8 Plus and Tab 4 10 Plus are premium tablets designed for the whole family. These Tabs have striking glass panels on the front and back with dual-glass casings to protect it from scratches and dents. The tablets are ultra-sleek and light – weighing only 310gms and 475 gms with 7mm thickness and are powered by a Qualcomm Octa-Core 2.0GHz processor, featuring up to 4GB RAM and 64GB storage. 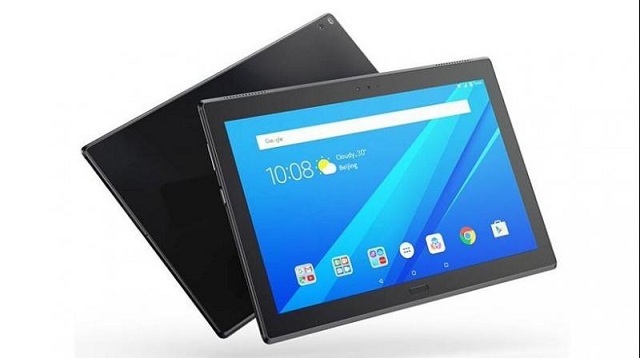 The premium tablets boast of advanced features such as USB Type-C, a fingerprint quick-login, Quick Charge 3.0 and a Full HD display resolution. ViewSonic Corp, is scheduled to participate in the upcoming, InfoComm India Summit. It is a three day event and which will be held from 26th – 28th September 2017 at Bombay Exhibition Centre, Mumbai. At the event, ViewSonic will be unveiling and showcasing its new range of PS750W projector, PG603X projector, LS620X projector, VP2768 LCD monitors & ViewBoard IFP6550 interactive flat panel. The InfoComm India Summit provides a premium platform for IT professionals, decision makers and influencers from various industries to showcase innovative products and witness spectacle first-hand experience. For discussion on ViewSonic’s next-gen solutions and media interactions, Eric Wei, Country-Head India and Senior Sales Director will be available on 26th September, 2017. At HP Reinvent, HP Inc.’s largest global partner event, the company launched HP University, a one-stop solution to empower and equip the company’s 18,000 worldwide Partner First partners to optimize revenue and future-proof their business. 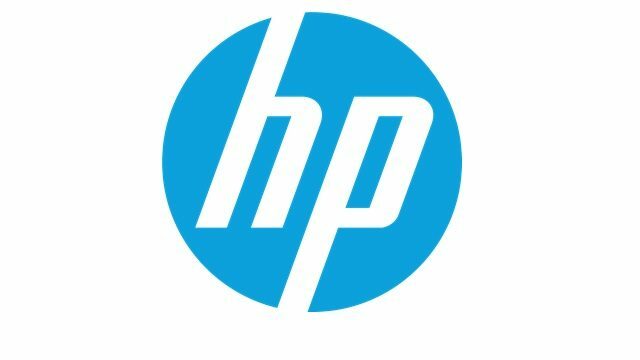 HP University combines sales skills education, product training, and certifications to enable HP’s partner ecosystem to migrate to evolving business models such as contractual and subscription sales.The global program combines online and instructor-led training throughout 170 countries. Offered in 11 languages, the program was piloted and tested with strategic partners in three markets prior to deployment.“HP offers partner-focused, consultative training with a thoughtful approach to drive the bottom line,” said Thomas Jensen, vice president, WW Channel Sales Strategy, HP Inc. “Our global partner-focused HP University allows our vast ecosystem to focus on driving channel growth with relentless execution, a simple and clear education program and streamlined, effective operations to maximize growth and profitability.”The shift from transactional to contractual, subscription based sales is on the rise. Nowhere is this shift more evident than in the technology sector. By adopting a subscription-based model, companies can tailor their computing environments to shape the experiences they want for customers as well as their workforce. This shift requires a consultative approach to selling; HP University is intended to address this shift while increasing the bottom line for partners.More than 30 worldwide partners beta tested the program prior to deployment. Accessing and using the program is clear and simplified, allowing partners to focus on learning versus navigating a complex portal. Offerings include instructor-led, face-to-face training in addition to sales skills development, highlight HP core competencies, including Security, Device-as-a-Service (DaaS), Mobility, and Managed Print Services.Courses such as Strategic Solution Selling will immerse attendees in realistic business problems, and provide strategies to uncover key customer business challenges, craft proposals and deliver the right messages to the right customers. The coursework is geared to evolve towards a solution oriented sale, build deeper relationships, minimize wasted selling effort, and maximize recurring revenue streams. Canon India Pvt. Ltd has commenced a 50 city roadshow, themed ‘SPARKLE’. This showcase is conceptualized for and dedicated to the resellers supporting the Consumer System Products outreach in the country. Complementing its theme ‘SPARKLE’, this initiative is focused towards making every moment a sparkling celebration for its partners and customers. Consumer System Products division, under its Inkjet and Laser portfolios, offers a range of printing products and solutions, designed to address the requirements of varied segments including Home, SOHO, SME’s, Enterprise and Government. Along with live demonstrations, skilled team of engineers present on ground would ensure answering all queries to amplify the company’s relentless commitment towards its target audience. This one-of-its kind series of roadshows will also help consolidate Canon’s footprint across regions in the country as a digital imaging leader, offering one stop printing solutions. Announcing the launch of SPARKLE, C Sukumaran, Assistant Director, CSP Division, Canon India Pvt. Ltd. said, “Building on our 20 successful years of experience in India, we at Canon take immense pride in being an end to end solutions provider, our relationship with our customers begins way before the product is purchased and continues for lifetime. This journey would not have become a strong milestone, without the support of our dedicated distribution network. As our partners gear up for better festive season sales, we are delighted to launch ‘SPARKLE’, an initiative which will further strengthen our connect with 5000 IT resellers across the nation,” The machines showcased at the roadshow include LASER SHOT LBP6230DN, imageCLASS MF232w, imageCLASS MF244dw, imageCLASS MF241d, imageCLASS LBP7018C, PIXMA TS 5070, PIXMA MG3070S, PIXMA E3170, PIXMA G3000 and MAXIFY MB5170, among others. Spanning over a period of four months, the roadshow will be covering over 50 cities across the country, including Guwahati, Kolkata, Hyderabad, Chennai, Delhi, Shillong, Bhubaneshwar, Aurangabad, Nashik and Chandigarh. AMD and Amazon Web Services (AWS) have teamed up to deliver the next generation of virtualized applications. AWS’s AppStream 2.0 provides GPU-accelerated virtualized applications, from standard Windows productivity apps to robust design and engineering apps, powered by AMD Radeon Pro graphics. Radeon Pro virtualized GPUs feature Multi-user GPU, the industry’s first and only hardware-based virtualization technology in a GPU, based on SR-IOV (Single Root I/O Virtualization). 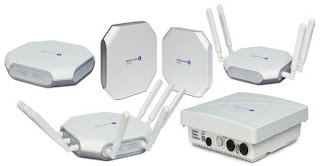 SR-IOV is a big deal for three reasons. 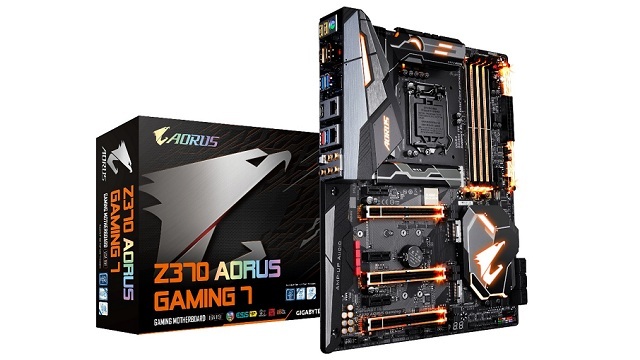 It features GPU scheduling logic in hardware helping to ensure better quality of service for users. It preserves the data integrity of Virtualized Machines (VM) and their application data through hardware-enforced memory isolation logic preventing one VM from being able to access another VM’s data, And it exposes all graphics functionality of the GPU to applications allowing for full virtualization support for not only graphics APIs like DirectX and OpenGL but also GPU compute APIs like OpenCL. The result is a highly performant, flexible and secure means of virtualizing applications. Ambrane further strengthens its presence in wearable Market with the launch of its latest ASW-11 Smartwatch. Pushing the boundaries of the traditional art of watch making along with the touch of Technology, the device not only shows you the time, but also has Bluetooth connectivity and doubles as a fitness tracker, allowing you to do so much more!Scoring full in good looks, along with several advanced features built right into the watch, the smart watch, with its broad rubber strap and its sleek touchscreen, is an accessory worth flaunting. Designed with meticulous attention, the watch is everything minimal, elegant and style.Do more than just check the time on this smartwatch. Truly multifunctional the smart watch boasts features that allow you to accept or reject the call or snooze an alarm. It also lets you set call or message reminders. The watch enables the user to create short reminders and to-do lists to manage your hectic schedule.The watch puts the convenience of a smartphone and a fitness tracker at the flick of your wrist, allowing users to even track the daily fitness activities. Monitor your sleep patterns, steps in a day with pedometer or hydrate yourself when at work with Alerts which also includes sedentary reminder for your inactive lifestyle.Commenting on the launch, Gaurav Dureja, Director Ambrane India Pvt. Ltd. says, “Very recently Ambrane entered the Wearables Market, however in a very short span of time, we have received a strong response from the Market. Our newest ‘ASW-11 Smartwatch’ is designed for the smarter needs of today’s generation. Devised for those on the go, this watch would replace your many expensive watches from the Case and also play the role of fitness tracker – Didn’t we say value for money? 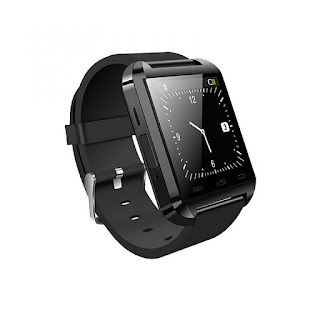 True testimony to it- Best in technology at Best prices” With one touch Bluetooth connectivity, the smartwatch features a premium range of technology and an LCD display with higher resolution and better visibility without needing to recharge for days. When not connected to your smartphone, the smartwatch works as a standalone digital watch. Dell in India announced augmented service offerings for its consumers in India, with the launch of Premium Support Plus. Recently launched at IFA, the service is available on Alienware 15 & Alienware 17, XPS and Inspiron devices, dramatically improving customer experience through simplified and hassle-free support. With this launch, Dell has widened its service capability for consumers, giving them the option to choose from OnSite support, Premium Support and the new Premium Support Plus, based on their requirement. Premium Support Plus provides 24×7 anytime, anywhere phone access to expert technicians, personalized assistance for complex software issues and the first and only proactive automated support for consumer PCs. Powered by the SupportAssist technology, in an industry first, the service automatically detects both hardware and software issues and proactively alerts consumers when they occur. Support Assist also enables Dell’s technicians to initiate contact with customers and begin resolving the problem, often before they even know an issue exists. Premium Support Plus also comes with advanced support features like personalized step-by-step expert assistance, optimization for PC performance and repairs for accidental damage. 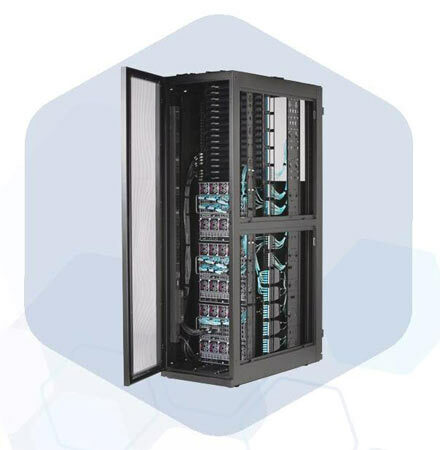 The proactive – predictive capabilities have been tested and proven for commercial customers with more immersive technical requirements, before offering it to end consumers. Premium Support Plus users can experience efficient solution delivery for any technical issues, with the service reducing up to 86% time on the phone and reducing the number of steps for resolution by 59%. Consumers will also have the ability tailor the experience to their lifestyle – a hands-off, call-free experience with automated integrated support or one-on-one personalized support with an agent or a combination of both. 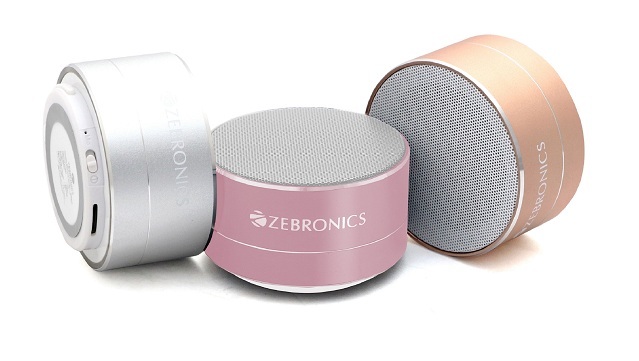 Zebronics announced the launch of super compact & stylish ‘Noble Speaker’ a speaker for just about every person. From those who want only the best sound to outdoor adventure to bass heads, with Noble it’s all covered. Devised with the penchant for style yet balanced with excellent sound, the drool worthy speaker is every hearts content. 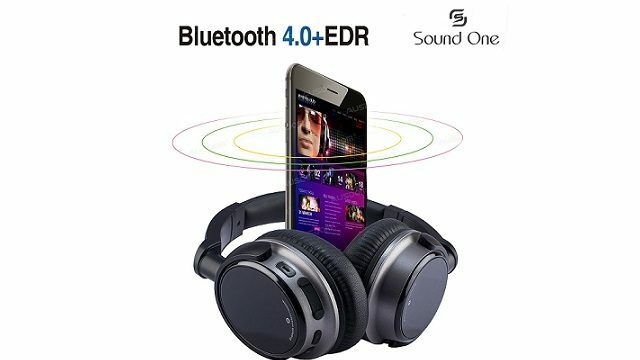 Compact enough to fit in the palm of your hand, the speaker sounds very good and plays very loud for its size with the battery life of up to 120minutes of playback. Metallic finish with modern colors, the ultra-portable speaker seamlessly pairs up with mobile or any Bluetooth device whereas the small yet powerful speaker provides distinguishably loud and distortion free music with uninterrupted music playback time of up to 120 minutes. Adding to that, there is a built-in microphone that also allows the user to make and receive calls, at the press of one button. Speaking on the new product launch, Pradeep Doshi, Director – Zebronics says, “Our passion for audio, translates with every single launch. The latest Noble Speaker actually bestows our thoughts on the finest combination of size & volume to create the loud SOUND. With Noble, don’t be fooled with its size as it’s the smallest package which brings biggest Happiness” With a range of about 10 meters, the speaker is compatible with Micro SD Card/AUX input. 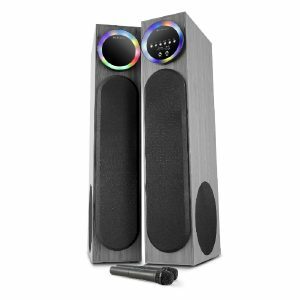 It also comes with a built-in FM bringing the users an amplified outdoor entertainment at an affordable price. ASUS announced the young rising star and online sensation, Disha Patani as the new brand ambassador for laptops and smartphones. Commenting on the announcement, Arindam Saha, Head Marketing, ASUS India said, “We are so excited to have Disha as our new brand ambassador and welcome her into the ASUS family. Besides her incredible beauty, she stands for modernity, freshness, self-confidence, trendy, elegance and spontaneity. 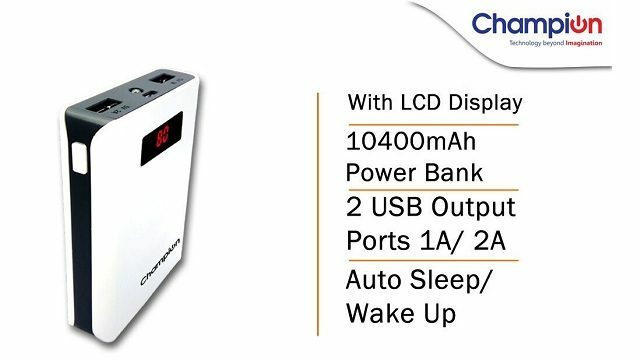 Everything that we convey through our wide product range. Besides, today we are catering to an audience that defines ambitious, forward-moving, non-stop pulse of India and Disha understands the pulse of this audience well. Her vibrant persona, pan-India appeal and her confident attitude makes her the perfect ambassador for our brand. 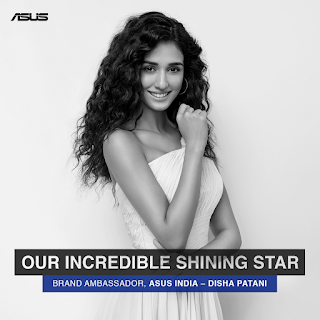 We are confident that Disha’s popularity will further help complement and articulate the future direction of the brand ASUS.” Speaking on the partnership, Disha Patani said, “I have known ASUS to be an iconic technology marvel, world over and I am happy to be associated with a brand which is very young, trendy and enthusiastic, which reflects my personality. I look forward to being part of the ASUS family and its fascinating growth journey in India. “ This year has seen ASUS India’s business grow from strength to strength. Through the year, the consumers have seen ASUS India brands engaging them through interesting digital marketing campaigns. Going forward, Disha shall be seen across ATL, BTL campaigns and also POSM. 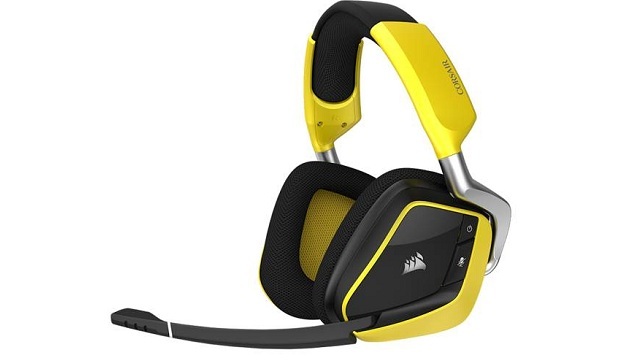 Corsair has launched wireless gaming headsets, Void Pro. 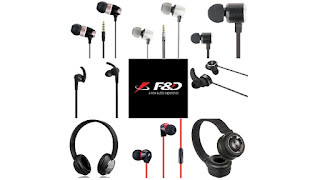 The new gaming headsets by the company operate within a 20Hz to 20 kHz frequency response range, while the embedded microphone operates within 100 Hz to 10 kHz. The Void Pro sports a USB Type-A connectivity and offers features like unidirectional noise cancelling in its microphone. The gaming headphones aim to provide comfort to the user while reducing the heat build-up, through its microfiber mesh fabric and memory foam. They sport a custom tuned 50 mm neodymium speaker drivers and carry Dolby Headphone 7.1 surround sound. Corsair claims a wireless connectivity range of up to 40 feet and up to 16 hours of battery life for the Void Pro headphones. The microphone embedded into the headset boasts of unidirectional noise cancelling feature and an LED mute indicator. The Void Pro headphones also come with customizable, RGB backlighting and a receiver dock to extend the wireless connectivity reach of the headphones. The gaming headphones can also be paired with other Corsair RGB devices through CORSAIR Utility Engine (CUE) software.